If you are interested in using this jQuery autocomplete plugin on your site, you can find out more details in the EasyAutocomplete - jquery autocomplete - guide section. You can find more interesting examples in the EasyAutocomplete - jquery autocomplete - examples section. EasyAutocomplete has been released under the terms of the MIT License. Feel free to contact me with any questions or enquiries, as FAQ will be published in a due course. Also, I will truly appreciate your letting me know you are using my autosuggest extension. Should you find any bug, let me know about it through Report a bug. 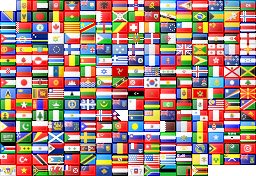 In this example I have used CSS styles flags.css and flag icons flags.png. Super heroes example has been prepared with use of awesome set of icons created by deleket (icon set is released under the CC license).